 A reliable source for Tungsten Suppliers information and a resource for accessing leading Tungsten Suppliers and suppliers. Tungsten is an element which is much valued for its strong physical properties in industrial applications. The title “tungsten” derives from the Swedish words “tung” and “sten”; together, these words literally translates to “heavy stone.” Tungsten is sometimes called by its alternate name wolfram. Tungsten Tungsten is an element which is much valued for its strong physical properties in industrial applications. The title “tungsten” derives from the Swedish words “tung” and “sten”; together, these words literally translates to “heavy stone.” Tungsten is sometimes called by its alternate name wolfram. Our company offers a diverse selection of tungsten items. We have highly trained and competent engineers who can successfully create you a metal solution regardless of how big or small. The expertise of our staff is unmatched. 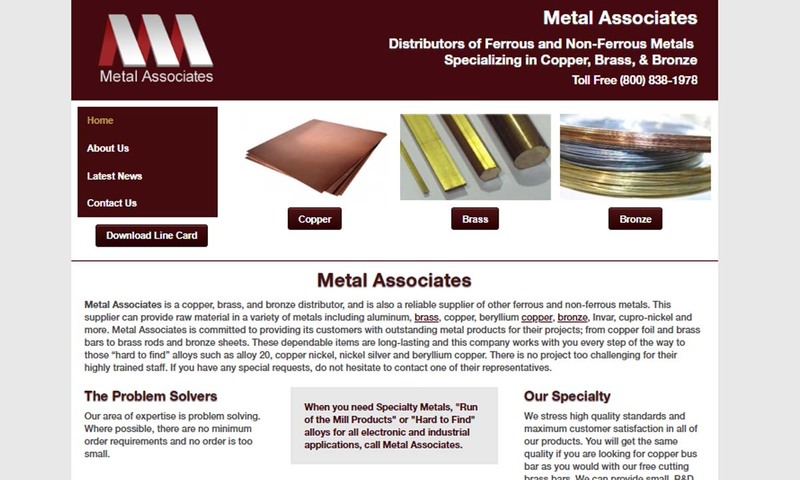 We manufacture and distribute high-conductivity copper alloys, heat-treatable copper alloys and tungsten-copper composites for welding electrodes, components and other applications. 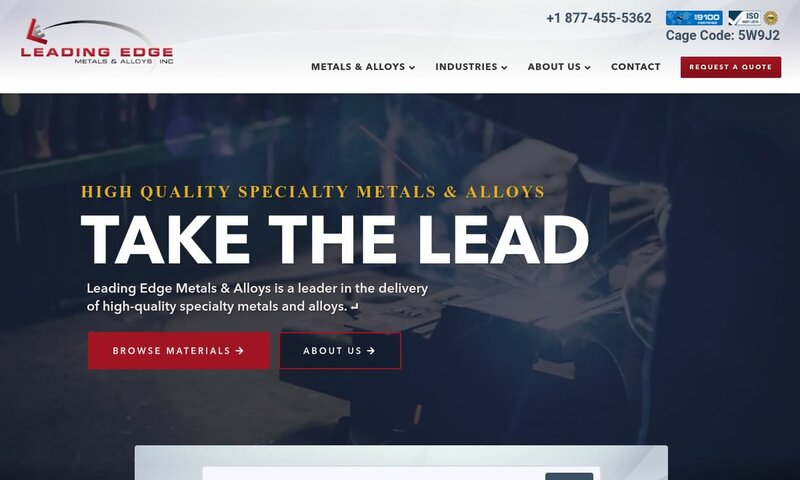 Leading Edge Metals & Alloys offers tungsten products to a number of industries, including aerospace, electronics, magnetic shielding, and medical. We are leading experts in our field and we go out of our way to make sure our customers receive only the very best. 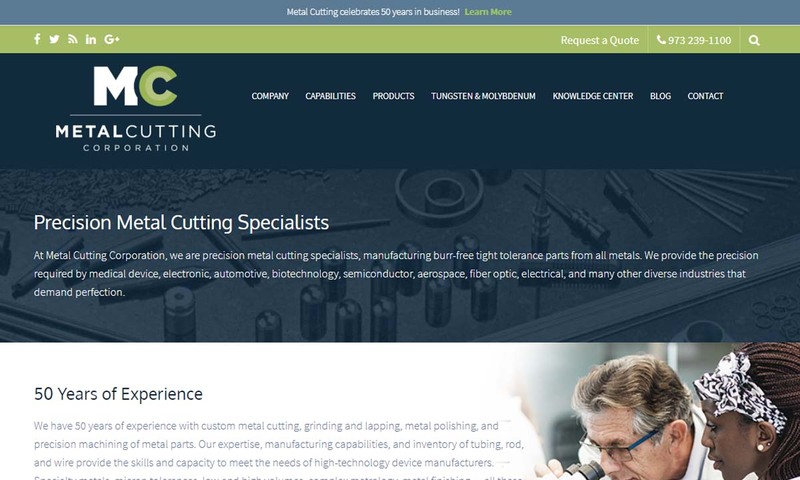 With an enormous volume of tungsten wire & rod products in every diameter, Metal Cutting Corp. meets both specialized needs & huge daily consumption with efficient pricing. 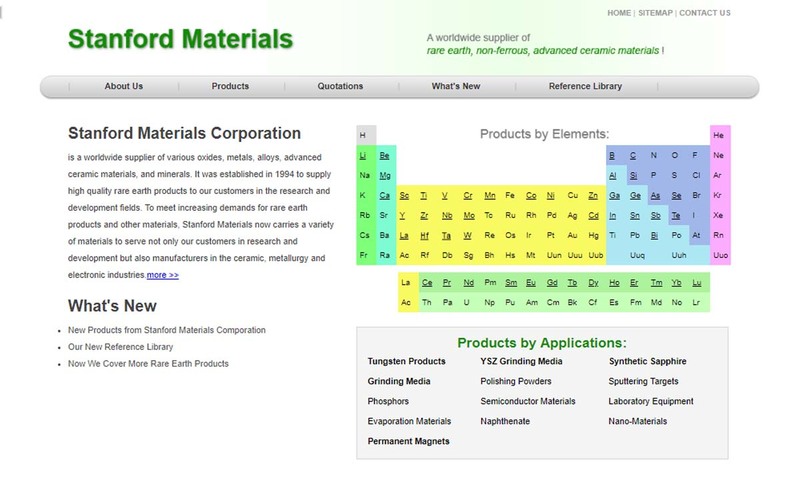 At Stanford Materials, we strive to provide a versatile selection of tungsten products to meet the needs of a wide customer base. Since 1994, we have supplied our products to customers around the globe. Although its title in the English-speaking world derives from Swedish, tungsten was first discovered by medieval German smelters who were intrigued by tin ores that produced particularly low yields. These smelters noticed the presence of an unfamiliar element which devoured the tin “like a wolf” during the extraction process; thus, they called it wolf rahm (“wolf’s foam). However, tungsten was not officially identified as a new element until 1781, when Carl Wilhelm Scheele performed studies on a white mineral derived from a new acid (known today as tungstic acid). Together, Scheele and Swedish chemist Torbern Bergman proposed the existence of an entirely new metal based on their reducing experiments involving tungstic acid. Two years later, a Spanish chemist and student of Bergman’s named Juan Jose de Elhuyar successfully isolated pure tungsten (with the aid of his younger brother Fausto de Elhuyar) by heating tungstic acid at extremely high temperatures with powdered charcoal. They publicly presented their discovery of wolfram at a scientific conference in Toulouse soon afterward (March 1784). Over the following decades, the use and usefulness of tungsten slowly grew. Beginning in 1847, British inventor Robert Oxland patented several tungsten manufacturing processes for pure tungsten, tungstic acid, sodium tungstate, and tungsten steel. About a half century later (1908), William David Coolidge obtained a patent for producing tungsten wire, forming the basis of the modern filament industry for electric light bulbs. In 1927, the Krupp Laboratory (of Essen, Germany) discovered the usefulness of tungsten carbide once it was combined with cobalt (or other cemented materials). Since then, the demand for tungsten carbide tools has only continued to grow. Since its initial discoveries in medieval times and the late eighteenth century, tungsten has grown very popular with heavy duty applications in a wide range of industrial scenarios. Tungsten does not occur naturally in a pure metal form; rather, it is extracted from ore in early stages of tungsten processing. (Wolframite and scheelite are the two main types of ore that tungsten is extracted from.) Raw tungsten is unsuitable for use due to its extremely brittle nature. It is only made functional after undergoing a lengthy process of being ground (into powder) and subsequently molded (and usually sintered) into solid billets or other forms. The first step in tungsten processing involves extracting tungsten from ore in the form of ammonium paratungstate (APT). APT is an “intermediate” form of tungsten that occurs once ores have been decomposed (e.g. by acid leaching, the autoclave-soda process). Once APT has been obtained, it is then heated in a furnace alongside hydrogen to ultimately produce tungsten oxide in a powder form. (The oxide is normally heated in nickel-alloy “boats” stoked into tubes and heated length-wise.) This powdered tungsten, in turn, comprises the raw material to create tungsten forms. A press (either mechanical or isostatic) compacts the powder into bars or billets before heating the powder again at elevated temperatures. (This latter stage is known as sintering.) After the tungsten has been made into hardened billets, it can be formed into many shapes via methods such as die cutting, drawing, and molding. Common forms into which tungsten is formed include bar, foil, plate, rod, sheet, and wire. Some tungsten products require additional processing after this basic production process. Such processing is designed to bring solid tungsten to three different conditions: black, ground, or cleaned. Black is a state in which a coating of a lubricant and an oxide is maintained. Ground is a state that is reached when tungsten has been machined with silicone carbide or diamond tools to remove the coating and attain a certain level of smoothness. Cleaned is a state in which the coating has been removed by chemicals. Given its highly desirable qualities, tungsten suppliers receive demand for their product in many industries, including consumer products, construction, electronics, electricity and lighting, engineering, industrial manufacturing, jewelry, mining, medical supply, aerospace, automotive, and recreation. 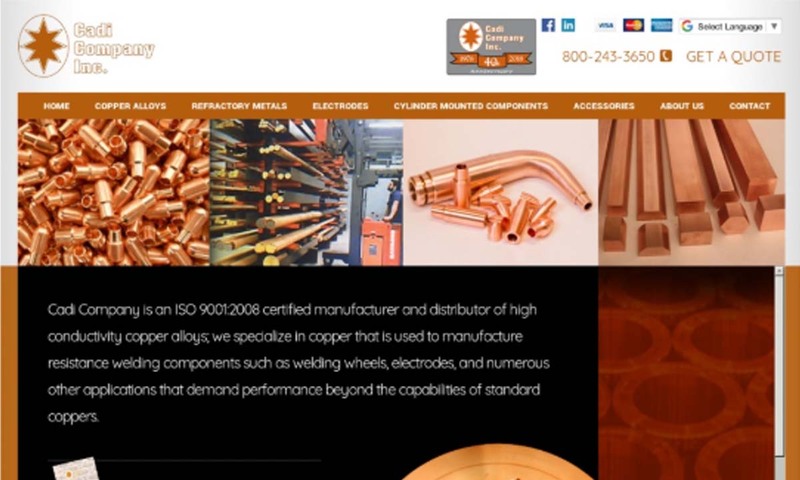 Frequently formed tungsten products include light bulb filaments, x-ray screens, cathode tube filaments, vacuum tube filaments, circuit board components, drilling equipment, gyro motors, flywheels, airplane parts, weapons, construction equipment, tools (e.g. boring bars), and industrial machinery components (e.g. die cast tooling). 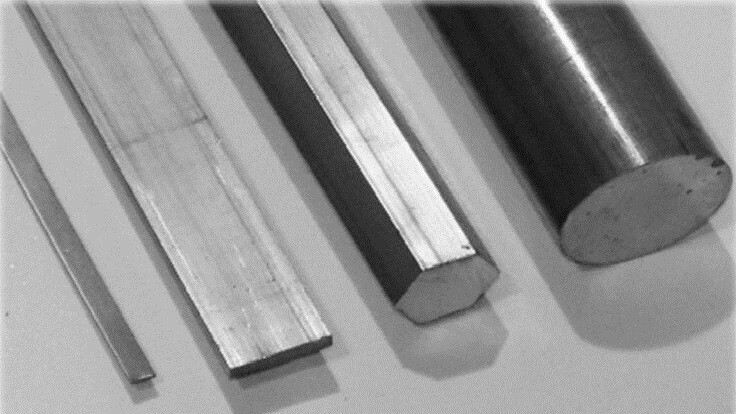 Tungsten electrodes comprise a unique example of a tungsten product; they are integral to electric arc welding, a process that joins two separate pieces of metal by applying high heat emitted by the voltages of electric currents. For over a century, tungsten has proven to be most useful in the electrical field as incandescent light bulb filaments. Tungsten’s high temperature resistance combined with trace amounts of potassium-aluminum silicate form a very effective electrical conductor for not only common light bulbs but also for devices such as electric furnaces and microwaves. Tungsten’s second most common application is for devices that require high mass or weight (e.g. fishing sinkers, counterweights). In reference to tools, tungsten often doubles as an applied coating that helps to significantly increase tools’ lifespan. Tungsten suppliers typically carry the metal in four different forms: pure tungsten, tungsten carbide, (other) tungsten alloys, and tungsten-based chemicals. Pure tungsten possesses a body-centered, cubic lattice on the molecular level and visible colors ranging between from tin white to steel gray. It possesses a boiling point of 10,701 F and a recrystallization temperature ranging from 2372 F – 2732 F. It is mainly used in electrical applications and is exceedingly electrically conductive. It is used for very little else since raw tungsten is very brittle and difficult to manipulate, particularly with applied pressure. Tungsten carbide is a much more widely used form of tungsten; it is a tungsten alloy consisting of half carbon. Tungsten carbide is produced by heating powdered tungsten with carbon in a hydrogen gas stream. It is denser than both titanium and steel, twice as hard as any grade of steel and extremely wear resistant. (In fact, at 9.5 on Moh’s hardness scale, tungsten carbide is only slightly less hard than diamonds.) In light of its properties, this inorganic chemical compound is popular with many mining, construction, and metalworking applications. Tungsten rings are another popular application for tungsten carbide. Suppliers offer tungsten carbide in over 20 different grades, each exhibiting unique tensile strengths, melting points, grain sizes, and hardness. Alloyed tungsten (in general) is available in many combinations. Commonly, tungsten is alloyed with metals like copper, iron, or cobalt in order to enhance its special properties (e.g. wear resistance, corrosion resistance). When mixed with metals like copper, iron, and silver, tungsten alloys are used to make products like turbine blades, heat sinks, armaments, ballasts, weights, control vanes, deflector shields, and other high-density items. Tungsten mixed with copper and silver is often known as tungsten-based infiltrated metals. Stellite is another tungsten-cobalt combination (joined with chromium) that is used for bearings and pistons because of its high wear resistance properties. The term tungsten heavy-metal alloys generally refer to alloys which are upwards of 90% tungsten. Tungsten-based chemicals are the rarest form of element offered by tungsten suppliers. Most often, tungsten-based chemicals are used to make x-ray screens, pigment phosphors, and organic dyes. When looking for a tungsten supplier, the range of different tungsten types and tungsten products they can offer you is obviously of prime importance. However, some other considerations should be taken into account as well. Since tungsten is such a valuable and versatile metal, you want to be sure to work with a supplier that can offer you a broad range of expertise as well as a broad range of products. Make specific inquiries about a supplier’s commitment to the latest production technology and the experience of their staff. The depth of a company’s quality assurance process is a good barometer of a supplier’s commitment to high quality products and excellent customer service. In general, raw industrial materials have seen sharp price increases over the past decade-plus. Regrettably, tungsten has not been shielded from these market effects. Some tungsten suppliers, however, are able to offer better prices than others due to a high level of strategic planning and a global network of tungsten supplier partnerships which serve to lower production costs. You should take the time to shop around and discover a tungsten supplier who can supply you the best tungsten products at the most competitive price due to factors like these.